Florence County Council Secretary/Chaplain Mitchell Kirby had a message to deliver Friday morning: The wait for a community center in Timmonsville is over. Kirby, along with state Rep. Robert Williams, Timmonsville Mayor Darrick Jackson, County Council Chairman Waymon Mumford and County Councilman Alphonso “Al” Bradley were among the officials to break ceremonial ground Friday morning for the construction of the community center just off of Main Street in Timmonsville. The Timmonsville Community Center was one of the projects listed in the 2013 edition of the capital project sales tax program for Florence County. Kirby added that the new community center would be around 3,500 square feet and have an auditorium, a gym and a kitchen. The community center can host family reunions and town meetings and will be a permanent home for senior activities in the community, he said. Williams said it was a great day in Timmonsville and he added that when local governments work together, a lot can be accomplished. He said the local governments need to continue to work together. Jackson said it was a very inspiring day in the town of Timmonsville. He thanked the county council and the residents for working to provide a community center for the town. Creating a better community was the focus for city and business leaders in Florence at the annual Florence Chamber of Commerce community breakfast Friday morning. With the rapid growth in the area this year, the chamber brought in City Manager Drew Griffin to discuss how the city continues to move forward. “I think that we are reaching into areas of our community that historically we have not,” Griffin said. Griffin opened the meeting with a picture of a junkyard he said represented a time of division and turmoil in the community, several years ago. Hope Health now stands in its place. Griffin said the day that the junkyard was removed was the day the transformation began. “There was a real feeling of accomplishment cause what they were seeing was change and that was exciting for them,” he said. Planning, commitment and advocacy are the three key attributes Griffin said helped revitalize the community and continue to move it forward. During the breakfast, Griffin talked about six areas of the city’s comprehensive plan: community health, economic development, community livability, financial stability, organizational stress/development and cultural change throughout the community. He also shared projects of investment to those areas, showcasing neighborhood and downtown redevelopment. It’s change Cecilia Meggs, executive director of Lighthouse Ministries, has seen first-hand. “It’s grown, it’s become vibrant… great businesses downtown,” Meggs said. Griffin said one of the things he’s most proud of is downtown revitalization, with up to $200 million invested over the past ten years. As for challenges the city deals with, Griffin said they’re trying to figure out a way to solve the constant flooding issues that the current storm water system is not equipped to handle. Looking ahead, Griffin said he hopes to grow the food and tourism culture in the area along with furthering neighborhood redevelopment and bringing in more businesses. “The city is committed to not just helping businesses downtown, but helping people that live in those areas downtown,” Meggs said. “That they see reinvestment and they see hope, much of our neighborhoods lack that and we need to create a better opportunity for them,” Griffin said. To see the full article and video on WMBF News, click here. 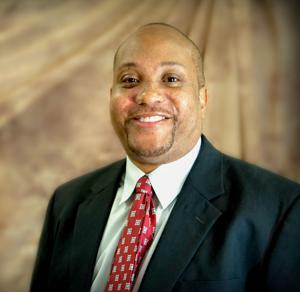 Les Echols of the Greater Florence Chamber of Commerce has been chosen to participate in the Riley Institute at Furman’s 12th class of Diversity Leaders Initiative (DLI), joining others from across the Midlands and surrounding area. Echols is the director of community and minority enterprise for the chamber. DLI class members are identified through a rigorous process including nominations from existing Riley Fellows, application, and interview. Individuals are selected to join the class based on their capacity to affect their organizations and communities. Over the course of five months, Echols will take part in a highly interactive curriculum consisting of case studies, scenario analyses and other experiential learning tools that maximize interaction and discussion among classmates and facilitate productive relationships. Echols will also work with other class members in one of five Capstone project groups formed to respond to real issues in the community. To see a full list of participants and for more information about the Diversity Leaders Initiative, visit riley.furman.edu/diversity. Lake City and Kingstree will both lose their hospitals under a plan announced Friday by the Medical University of South Carolina which will build a new facility somewhere between the two communities. The Charleston-based medical school has signed a letter of intent with Lake City Community Hospital and Williamsburg Regional Hospital that calls for MUSC to build, own and operate a $50 million replacement hospital that will be a 25-bed critical access facility that will deliver on-site care as well as virtual care through the MUSC Teleheatlth Network. According to hostpial-data.com, Lake City Community Hospital is currently certified for 48 beds while Williamsburg Regional Hospital is certified for 25 beds. The two facilities are located 16 miles and 23 minutes apart, according to Google Maps. The new facility will offer emergency room services, said Heather Woolwine, MUSC spokesperson. It will also offer inpatient and outpatient surgery, radiology, lab, respiratory, physical therapy and pharmacy services, Woolwine said. Whether it will offer labor and delivery services has yet to be decided, she said. According to Wikipedia, “to receive federal funding, Critical Access Hospitals must adhere to several guidelines. They may have no more than 25 beds and must have an average duration of hospital stay under 96 hours. They must also be more than 35 miles from another hospital, with exceptions allowed for areas with poor roads or difficult terrain. CAHs have more flexibility than other hospitals in staffing requirements. They must offer 24/7 emergency care and have a physician on-call available to be on-site within 60 minutes. They are required to have a Registered Nurse on site at all times when acutely ill patients are in the hospital. At other times, an LPN may fill in. Williamsburg Regional Hospital was damaged beyond repair by the storms of 2015 and has operated out of temporary facilities since April 2016. A location for the new hospital has not yet been set and funding options are being reviewed, according to the release. Construction on the new facility is forecast to take from 24-36 months and the goal is to have the new facility open by 2022 and to keep the current facilities operating until that time. “MUSC Health is proceeding with the due diligence necessary to determine the location for the replacement facility and we will provide more information as decisions are made and the information becomes available,” Woolwine said. The fate of the currently hospital buildings has not yet been decided, according to the release. Ever wonder what it would be like to know celebrities before they got their claim to fame? You could get that chance by attending The Second City production at the Francis Marion University Performing Arts Center. Comedians including Tina Fey, Stephen Colbert and Steve Carell got their start at The Second City. The Second City is a comedy group that started in Chicago in 1959. A six-member traveling troupe of comedians will perform a satirical stage show at 7:30 p.m. Saturday at the FMU PAC. As the sketches change, so do the characters that the actors and actresses portray. Each actor and actress will portray several characters while on stage as the troupe performs a mixture of improv and sketch comedy. Comedy sketches are brief, 5-10 minute segments that keep audiences engaged with a breadth of themes ranging from politics to current events. Simmons said he wants to bring a variety of performances to the PAC to show attendees that there is something for everyone. Once attendees experience a performance at the center, the beauty of the space and the caliber of the show will inspire attendees to come back time and time again. Whether seeing The Second City is your first performance or you are a recurring attendee, it will be a must-see performance for the Florence area, suited to a variety of ages. The Second City will celebrate 60 years as a comedy troupe in 2019. Catch The Second City for the first time in this city by buying your tickets today. Attendees can purchase tickets through the PAC’s website, over the phone or in person at the ticket office. Tickets start at $25. The Second City performance may contain adult themes throughout. The show will be about two hours long, including an intermission. 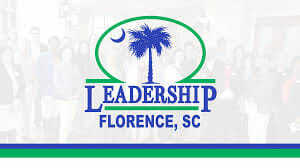 The Greater Florence Chamber of Commerce has started accepting applications for its 2019-20 Leadership Florence class, one of South Carolina’s longest and most recognized leadership programs. The curricula include a comprehensive nine-month program designed to identify, cultivate and motivate new leadership for our communities and businesses. Participants increase their knowledge of the Florence area, and enhance their involvement in community activities while further developing their leadership skills. Much of the Leadership Florence Program centers on developing leaders through hands-on processes, behind-the-scenes business and government visits and informational sessions with key industries as well as cultural and municipal activities. More than 1,000 individuals from area businesses have participated in this program and is more popular today than ever before. This 2018-2019 class consists of 38 participants, one of the largest to date. For more information on how you or your company can participate in this signature program, contact Les Echols or Michael Miller at the Greater Florence Chamber of Commerce at 843-665-0515. Inland Port Dillon is already paying off for the Pee Dee region. S.C. Sen. Kent Williams, whose district includes the inland port, said Friday afternoon that already two industrial businesses have moved to Marion County because of its proximity to the inland port near Dillon. S.C. Rep. Jackie “Coach” Hayes of Dillon added that industrial development would expand to allow the tax bases of Dillon and other surrounding counties to expand, providing better facilities for schools and other governmental functions. Williams added that the port had exceeded its goals for the first year of operation. S.C. Sen. Hugh K. Leatherman Sr. of Florence said the facility has surpassed anyone’s expectations and is being used tremendously. He added that the facility’s location just off exit 190 on Interstate 95 made it a convenient location. Since opening on April 16, 2018, the inland port handled 13,222 rail lifts, or an average of 50.85 per day, including each day between April 16 and Dec. 31. Rail lifts are the number of total containers moved from a tractor-trailer to a train or vice versa. Erin Dhand, the corporate communications and community affairs manager for the South Carolina Ports Authority, added that the SCPA expects the volume of containers handled at the facility would steadily grow for the first year or two. She added that there were notable opportunities for the inland port to grow in terms of agriculture. Already, C&M Hog Farm has added a transload facility at Inland Port Dillon. A transload facility transfers method of shipment from one to another, like from a truck to rail. The South Carolina Ports Authority was established by the state’s General Assembly in 1942. It owns and operates public seaport and intermodal facilities in Charleston, Dillon, Georgetown and Greer. As an economic development engine for the state, SCPA operations facilitate 187,200 statewide jobs and generate nearly $53 billion annual economic activity.